dance.net - Cute Choreography Skirts (10245632) - Read article: Ballet, Jazz, Modern, Hip Hop, Tap, Irish, Disco, Twirling, Cheer: Photos, Chat, Games, Jobs, Events! 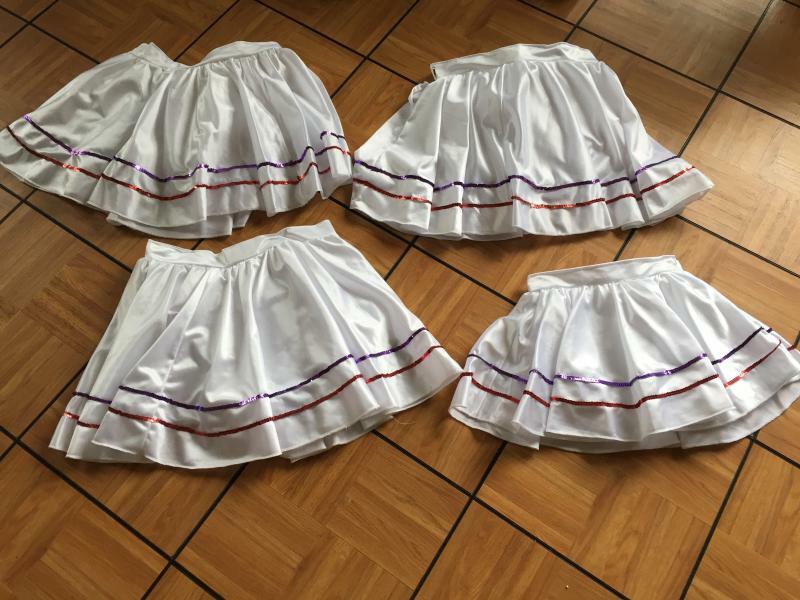 These 4 cute skirts are crinoline lined and are available as part of a studio cleanup. Waists measure across: 10 1/2", 13", 13" and 14"
How long are each of the skirts from waist to hem? They are cute but a little shorter than I was looking for. As we are wanting to clear items from the studio, we are cutting the price in half and asking $20 plus shipping.